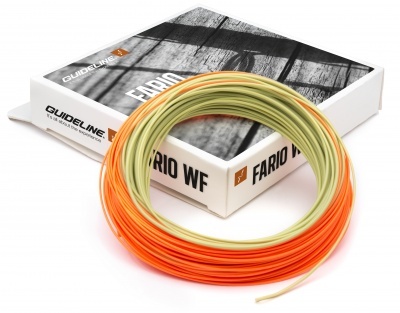 Fario Wf Incorporates A Handling Line For Greater Flexibility Of The Amount Of Line You D Like To Carry Outside The Rod Tip. It Has A Looped Front And Laser Line-Id Mark. The Color Is Olive/Yellow With Sunrise Handling- And Running Lines.